27th October 1978. The new road is now open from the Cambridge direction up to the flyover. The old route to the left is now closed off. The Kings Hedges Road junction can be seen to the right, no traffic lights yet. The old route of Arbury Road can be seen in the hedge line to the left and right of the new road. 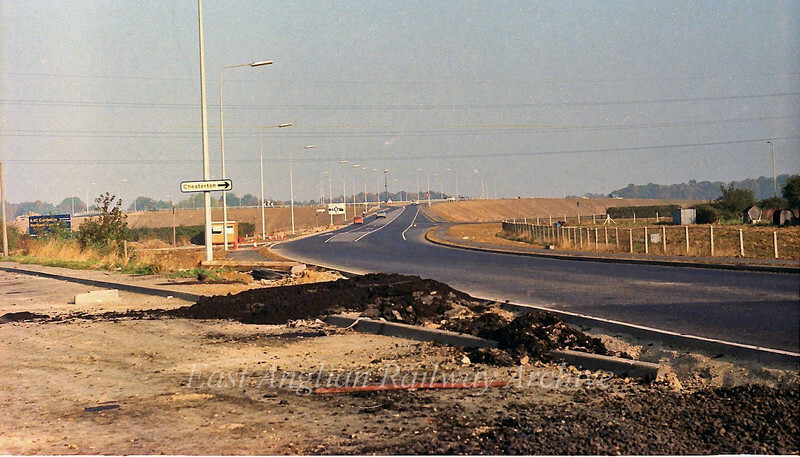 The new road opened on 23rd October 1978.